There's no doubt smartphones have changed personal and business communications. However, there are two important reasons why millions of individuals are still opting to keep their home phone service with VoIP options like Ooma. 1. Accessibility: Most homes already come equipped with a broadband internet connection, making it easy to port a number or make a VoIP call. Similarly, wi-fi has become much more of a commodity, allowing VoIP calls to be made from anywhere there is a wi-fi connection. 2. Scalable: It's very easy to add additional users to a call, and add extra users to your home phone plan. With no contract, unlimited calling and an easy DIY setup, it's an excellent service option for families and home offices as well. 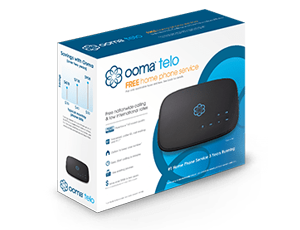 To find out more about Ooma Telo, click here to get a glimpse of all of our features, benefits and services.